Poll: How Will YOU Stay Connected to The FPA World Championships this weekend? The Freestyle Player’s Association World Freestyle Frisbee Championships (FPAW 2017) is this weekend (Aug 3 – 6). Top players from all over the world will be in attendance, showing off their skills and connecting with the Jamily. Of course, not everyone can attend. 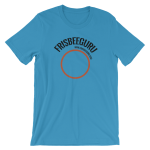 That’s why the FrisbeeGuru staff will also be in attendance, bringing you the action live and reporting on the results. You can watch here. Staying connected to FPAW is important for fans, players, and their families. This Poll asks: How Will YOU Stay Connected to The FPA World Championships this weekend? Select all that apply. How Will YOU Stay Connected to The FPA World Championships this weekend?